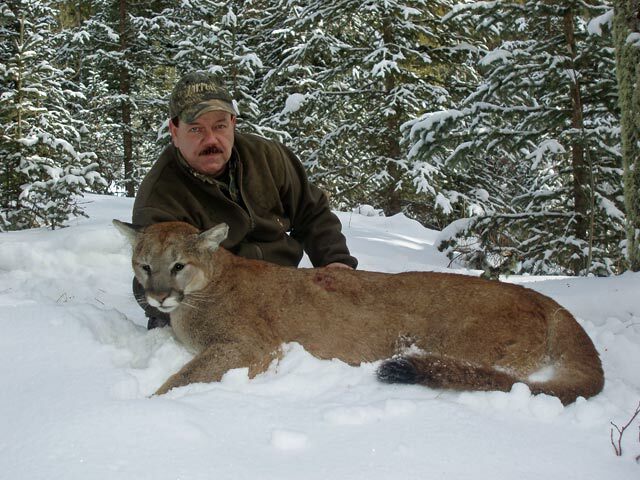 ERVIN PHIPPS of Elm City, NC, hunted long and hard with us in January, taking this nice cat. 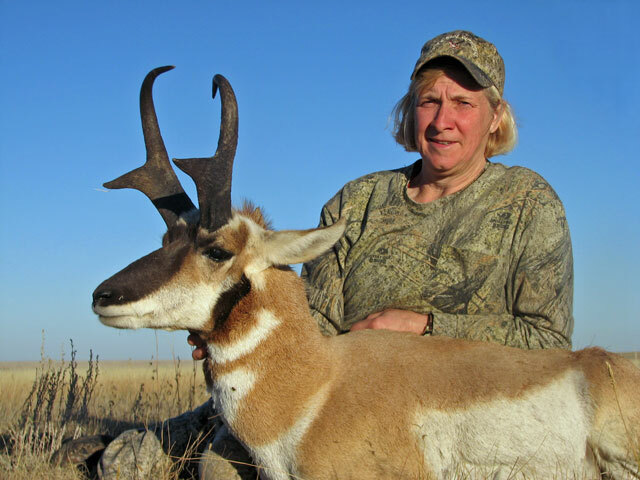 SUSAN TOUHY of Alpena, MI, harvested this great antelope, on a beautiful September day on the Alberta prairie. Our friend Susan has hunted with us a number of times and we were happy to have her back. 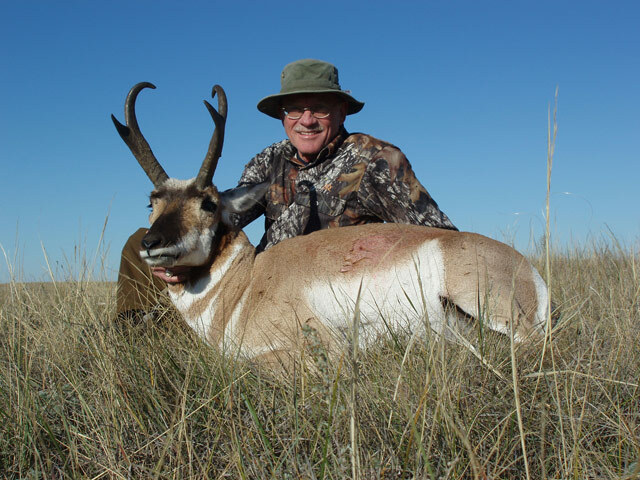 GERRY CAMPBELL of Webster, NY, came to Alberta for his first pronghorn antelope with Bill Wilson, a longtime friend and client of ours. He harvested this fine specimen the first day. 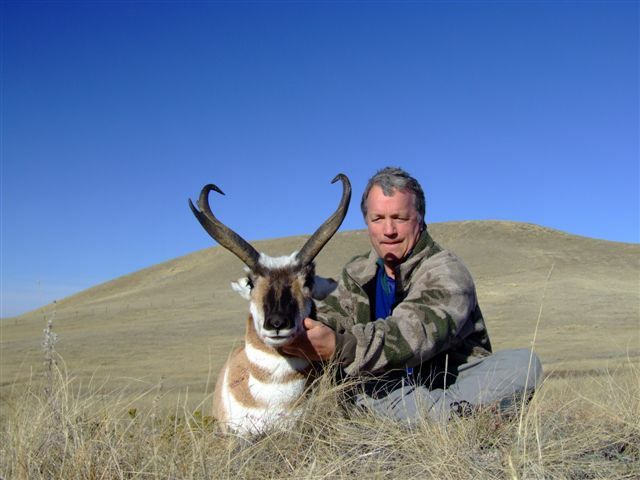 BILL WILSON of Missoula, MT, harvested this nice pronghorn buck on the fifth day of his hunt, which was also his birthday. We celebrated with fine wine and fine friends that night (all well aged)! ALAN LAING of Phoenix, AZ, came on his second trip with us, this time to hunt antelope before his moose hunt with his son Brandon. 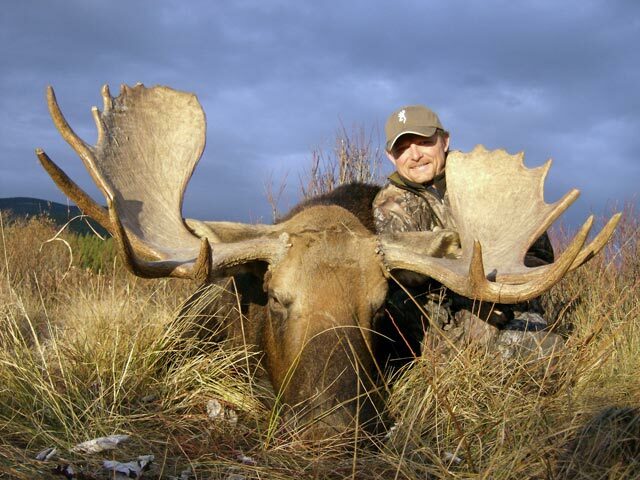 BRANDON LAING of Phoenix, AZ, took this nice bull moose on the third morning of his hunt. 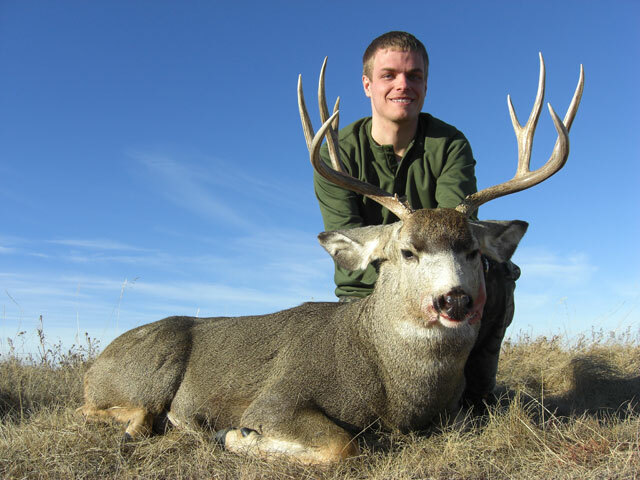 Brandon also hunted with us in 2007 taking both a whitetail and muley buck, it was great to have him and his dad in camp with us again! 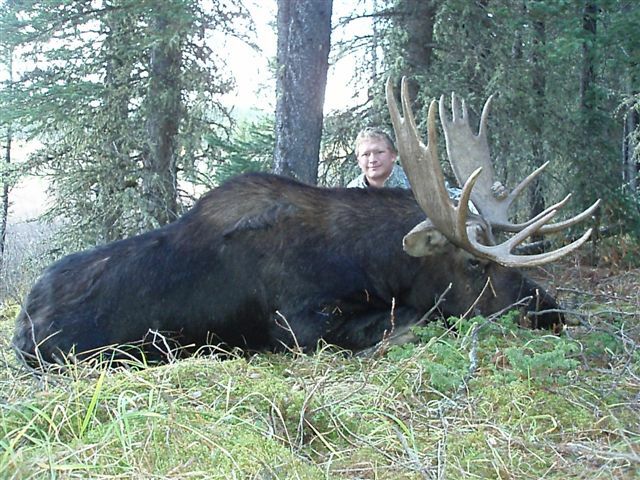 ALAN LAING of Phoenix, AZ was thrilled to harvest this beautiful bull moose a couple of days after his son Brandon (above). 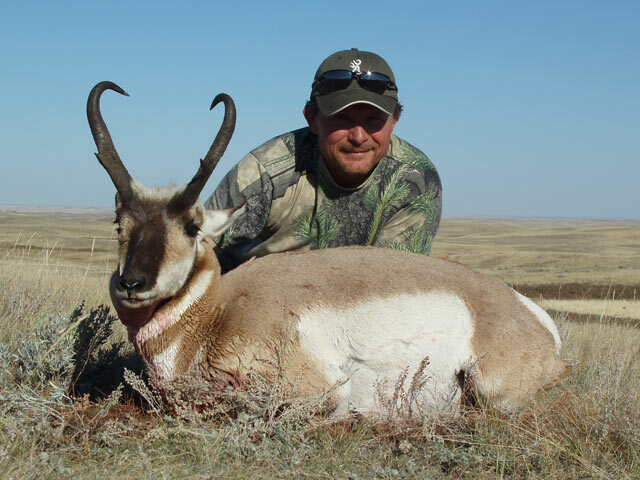 COLIN LYONS of Kamloops, BC, came over to Alberta in October looking for the opportunity to get his first antelope. 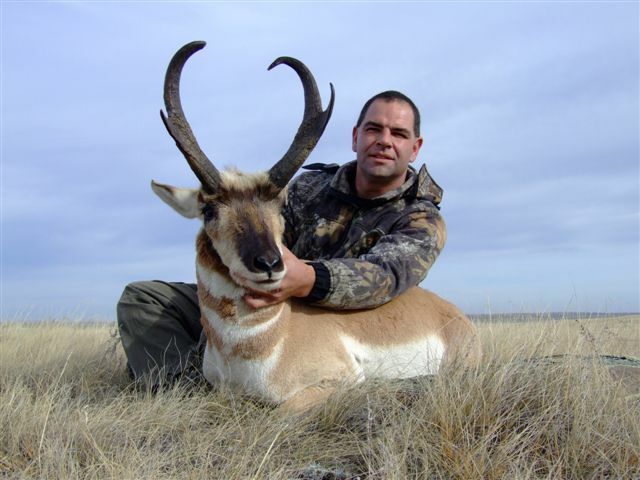 He took this exceptional pronghorn on the first morning. He was also able to watch his friend Jim stalk and shoot his buck a few days later. JIM TURNER of Vancouver, BC, joined us and his friend Colin to experience his first outfitted hunt. He was thrilled to harvest this wide trophy buck with exceptional mass and great prongs too. 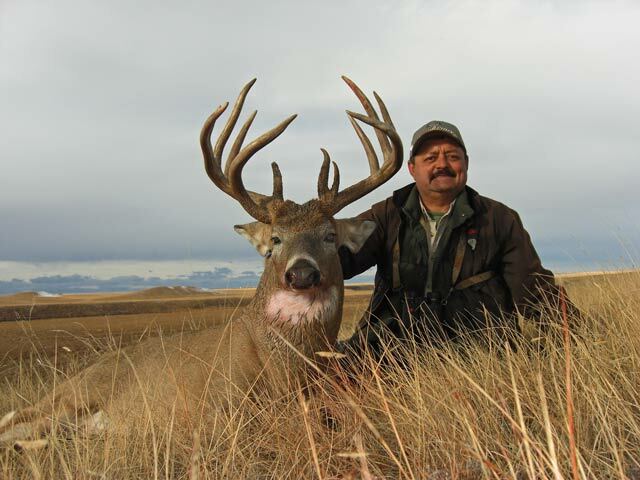 UBALDO LOPEZ of Sonora, Mexico, came back to Alberta with a big whitetail on his mind.The first big whitetail he saw gave him the slip, but in the meantime, he was able to connect on this nice wide Alberta mule deer. 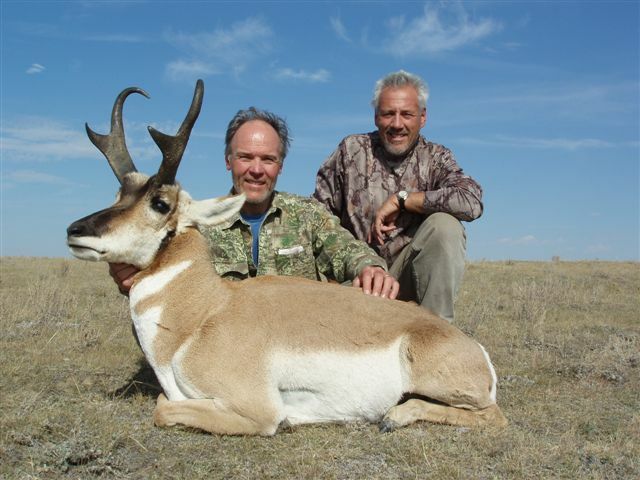 This buck will share Ubaldo's trophy room with the great muley (203 B&C) he got with us in 2005. He used a .280 with 140 grain Barnes X Triple Shock bullets. 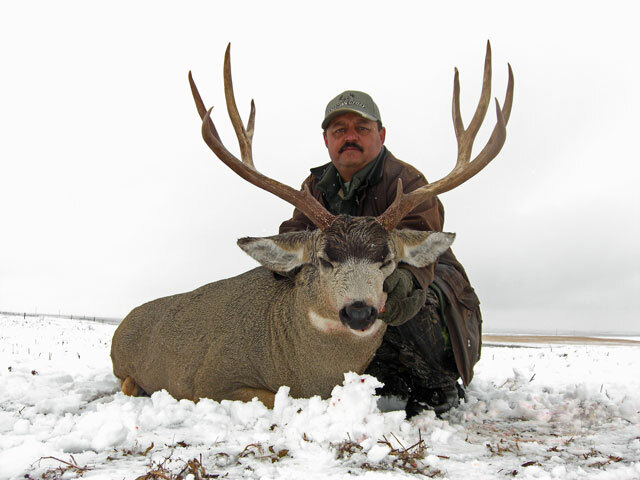 Here's a video clip of Ubaldo hunting his trophy mule deer. 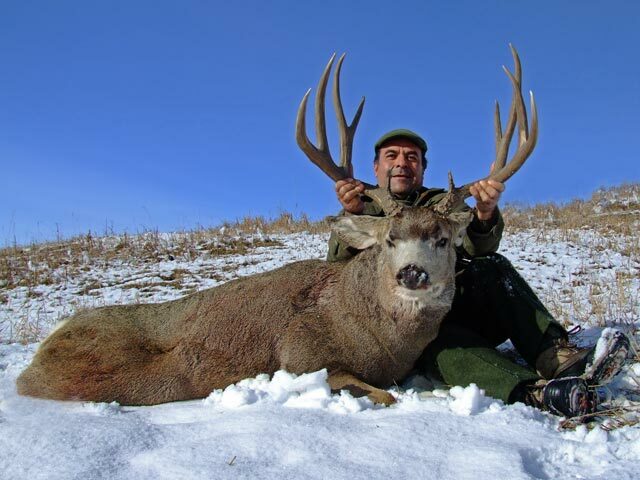 Ubaldo's dream of a giant Alberta whitetail became a reality when he took this beautiful buck on the last day of his hunt. The "upswept" tine off the right main beam, really gives this big buck some added character. He used a .30-06 with 165 grain Barnes X Triple Shock bullets. Ubaldo is a well known Outfitter in Sonora, Mexico and a good friend. 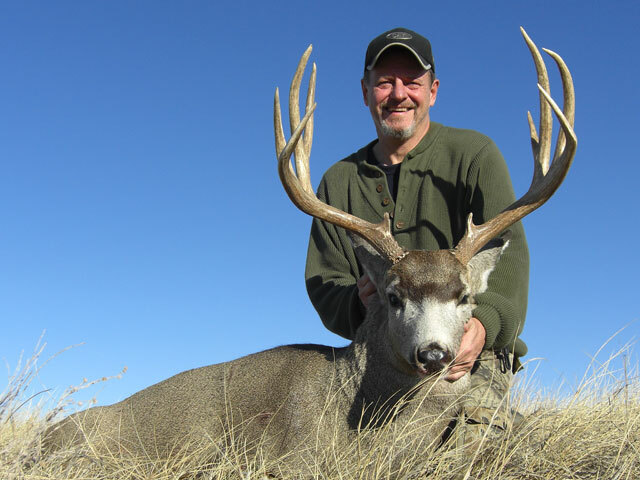 JOSE RODRIGUEZ of Monterey, Mexico, connected on this beautiful prairie muley the first day of his hunt. Jose was using a .30-06 with 165 grain Barnes X Triple Shock bullets. ERVIN PHIPPS of Elm City, NC, took this tall 5 X 4 prairie Muley on his fourth mule deer hunt with us. 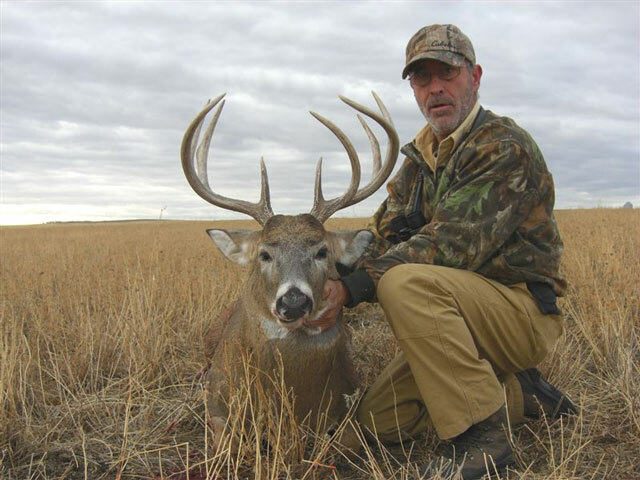 This buck will join the other three Ervin has taken with us over the years, including his great Boone & Crockett record book muley from his 2005 hunt. DAN O'CONNOR of Greenwich, NY, was able to connect on this high and heavy mule deer the first day of his hunt. "Gnarly" defines this outstanding buck, a "one a kind" trophy. STEVE (Speedbiscuit) HYNES of Far Hills, NJ, took this nice whitetail after a perfectly executed stalk on the very last day of his hunt. 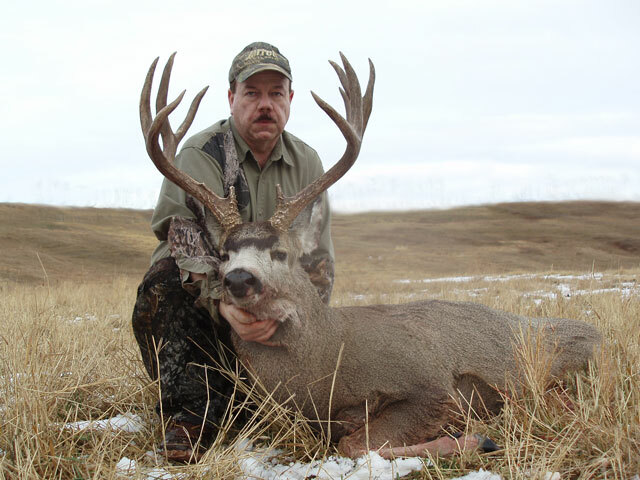 ROGER LIEDKE of Alpena, MI, took this beautiful, big mule deer in November, his first day of hunting on the the Alberta prairie. He and his son Brent came for their first mule deer hunt. BRENT LIEDKE of Portage, MI, took this nice buck after a long walk and stalk on a beautiful, sunny, November day. 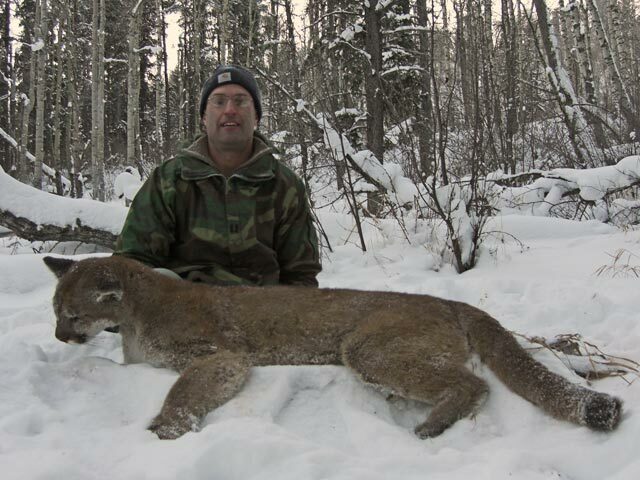 KELLY WARD of Port Matilda, PA, took this nice cat on a wintery day in late December to finish off the 2008 season. Thanks to everyone who joined us and made 2008 another memorable year for us. We are honored to share your experiences and successes with you! Besides that we had a lot of fun! Billy Franklin, Brad Stuparyk, Carole Frei, Dale Silbernagel, Gary Villemaire, John Gordon, Josh Schuett and Justin Eckert. We couldn't have done it without you! Best wishes and good hunting to all in 2009.